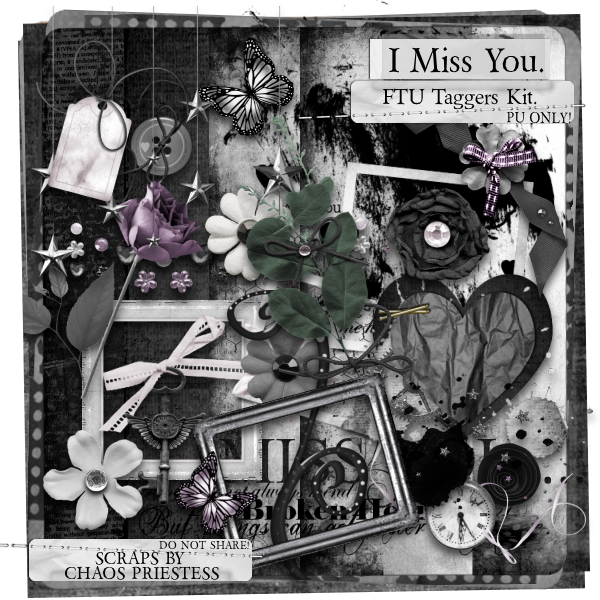 Scraps By Chaos Priestess: New FTU taggers kit - I miss you. New FTU taggers kit - I miss you. I have a new kit for you all to play with :) i would also just like to say a big thank you for everyone who appreciates my freebies, its nice to get feedback and thank you messages. I hope you all continue to enjoy many more freebies to come. I miss you - free to use taggers kit. Contains 32 elements. please always take the time to read my TOU, thank you. Thank you ♥ Gorgeous kit. Thanks very much for the free download! :) Nice kit! Scrapkit used 'Deliberate Descent' By Chaos Priestess. Picture Window theme. Powered by Blogger.